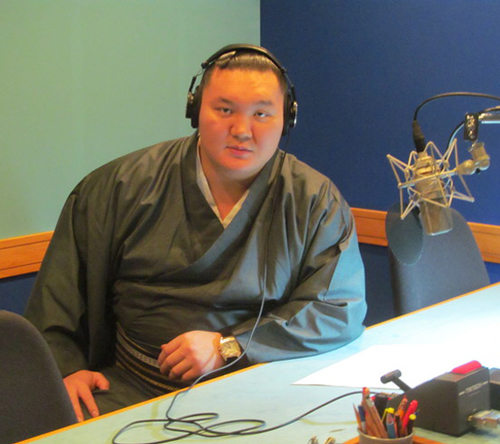 Hakuho with host Kazuki Kosakai after recording for the Fuji TV talk program “Go-kigen yō“ (for the 5555th time) on the 20th,1 p. m., where he tells about some pitiable episodes from his past. This weeks Sports Japan “The Versatile Food for Sumo Wrestlers” focuses on chanko-nabe. On the NHK World live feed on Sunday - schedule and here another. 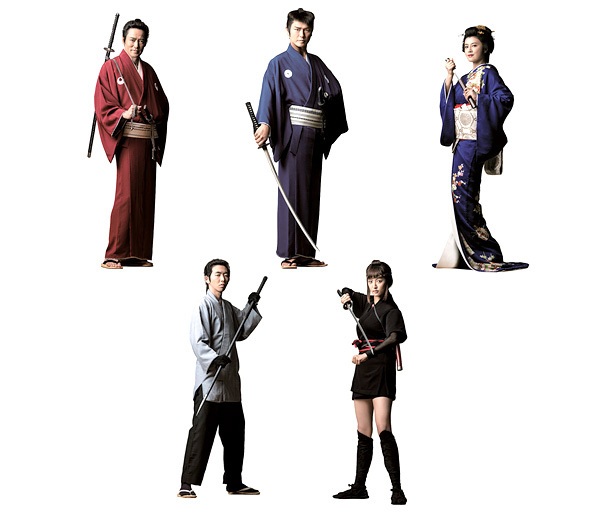 CET; 16:10, 20:10, 00:10, 8:30, 12:30. An NHK program announcement about the famous Showa 63 (1988) Haru basho entry group with Waka-Taka/Ake/Kaio – 95 in all, 11 becoming sekitori. Taka and Ake are in the studio. I just saw that in 5 minutes on JSTV this program starts, for open view. Today Miyabiyama is guest on TV Tokyo's Nandemo kanteidan. Right! and it was on regular Japanese TV today (or was it yesterday?). A very moving program, at all levels. The love and support were very much in evidence. 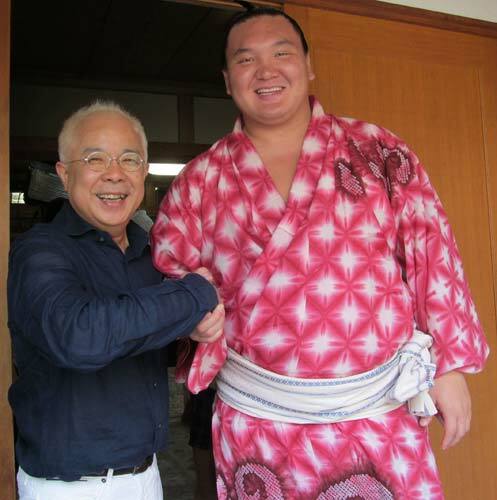 This weeks Sports Japan “The Rikishi who Never Failed to Entertain” focuses on Takamisakari. Teaching sumo to kids on an outdoor dohyo, again on NHK-G, Oct. 19th 16:25. 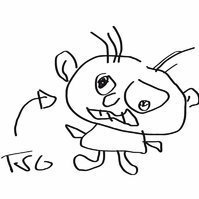 Shown (not encrypted) today also on JSTV, 19:35 CET. This weeks Sports Japan “Sumo Bids Farewell to a Rikishi” focuses on Baruto and introduces Endo. ah ah ah - thanks for this - seeing the face of the host Ayako Kisa solves a mystery open for a while. A few years ago with the yaocho scandal I did a live news discussion show on BS Asahi TV. This was the woman who hosted me (along with Takanohana's mother / Tokyo uni professor / former komusubi). Very nice, smart woman. For the life of me I could not recall her name after misplacing her meishi. 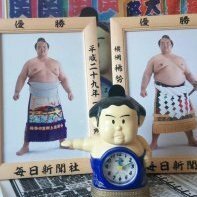 This weeks Sports Japan “Osunaarashi's Debut in the Top Flight” focuses on the Kyushu basho, also with Hakuho's records. Guest: Hiro Morita. CET: 15:10, 19:10, 23:10, 3:30, 11:30. 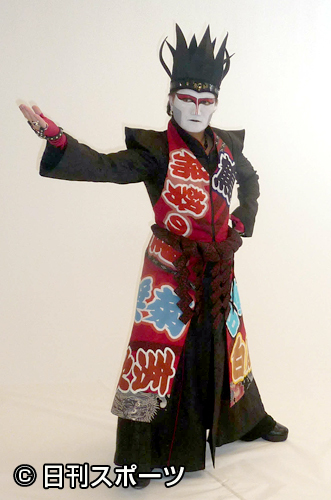 Demon-kakka with a new sumo-style dress with yokozuna/ozeki names and a small tsuna at the shooting of a PR spot intended for Japan for the Tokyo broadcast of NHK World TV (24h in English on the net). To be aired on NHK General in December. 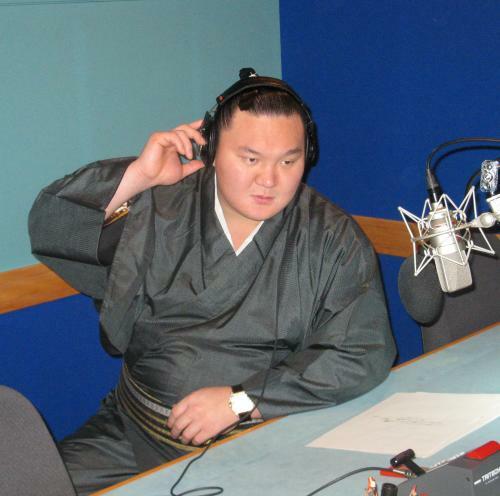 Hakuho recording the narration for the year-end special program “The Hakuho Japanese don't know about.” on TBS, 31st 4:30 PM He thinks his pronunciation and understanding has improved with this 3rd time he was narrator. 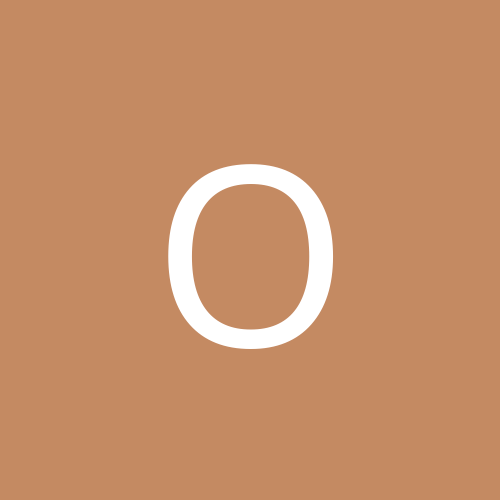 On his way to reach the 32 yusho of Taiho he first of all aims for 30 next year – gradually increasing the planned numbers. The 36th Kimura Shonosuke at the NHK Holiday Interview on the Tenno Birthday, the 23rd. Aired one hour later (but one day earlier in Europe) on JSTV on the 22nd, 23:30 CET. Now with access to NHK and other Japanese channels via Niji, it might be of interest to post more info about sumo programs coming up. 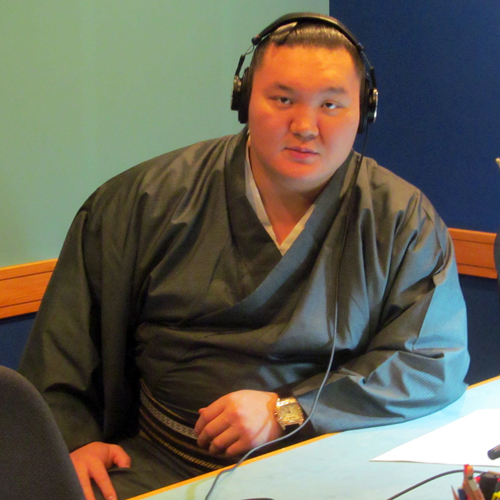 NHK Sunday Sports at 9:50 p.m. JST during the basho always has a big sumo corner, on senshuraku with a live appearance of the yusho winner. 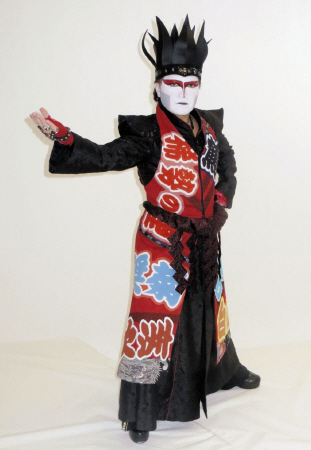 TV Tokyo in a few hours: Musashigawa-oyakata and a surprise visit to the heya.